NGO News blog, NewsLine: Sustained permanent shelters after 10 years in tsunami affected villages. Sustained permanent shelters after 10 years in tsunami affected villages. out of the Tsunami Trauma. The Child Centered Spaces aims to achieve exactly this. SEVAI with the support of Donor agencies were involved in tsunami recovery project. SEVAI had undertaken immediate response for providing food for 4 weeks for 5000 people those affected in 16 villages. Construction of Temporary Shelters for 2705 affected families, provided 130 fishing boats, SHG- Revolving Funds – 64 SHGs,promoted livelihood projects- goats rearing project for 10 villages, constructed 1250 Permanent Housing, established two first aid centres, undertaken Public Health Programme in 13 villages, Solid Waste Management in 10 villages and implemented 16 Community Micro Projects established 10 Anganwadis, 13 Schools renovated provided Family Relief Packages for 5000 families, 185 acres of renovation of agriculture lands,412 young women were trained in Vocational Training Programme, and shelter improvement for 2012 families. 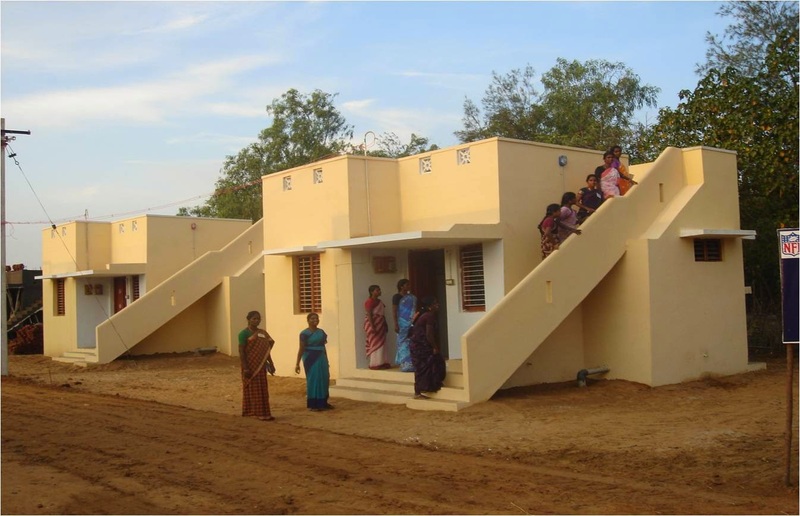 Now at the completion of 10th year, an assessment was made for the villages where SEVAI had constructed permanent homes, it was found that the houses are kept neat and extension have been undertaken by the families those were supported with shelter projects.-Govin.